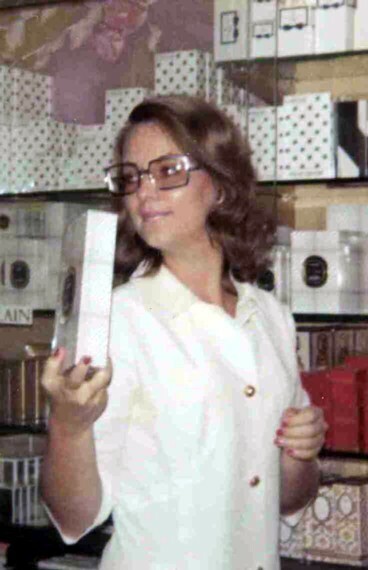 for compiling and translating Babs' story. 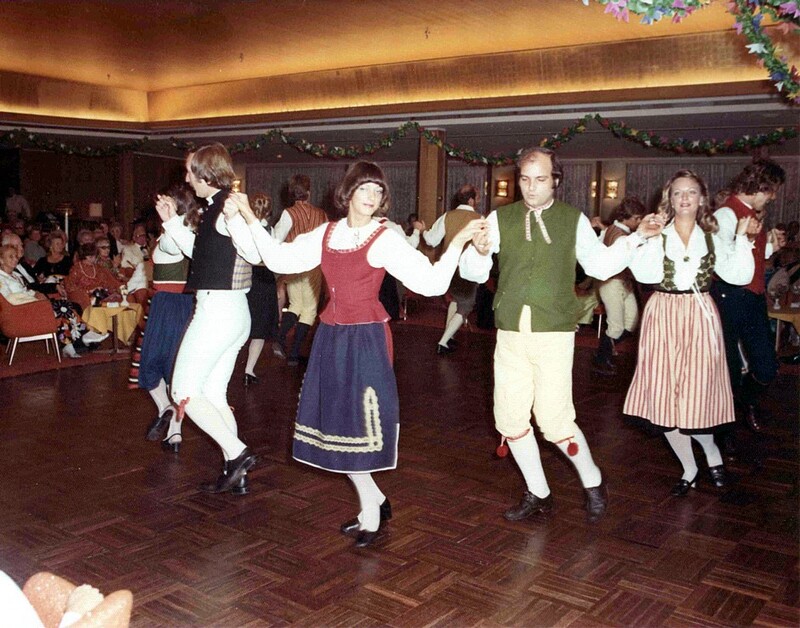 Swedish folk dance in the Main Lounge 1973. 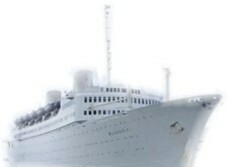 From the left: Lasse, Ingrid, Roberto and Babs. 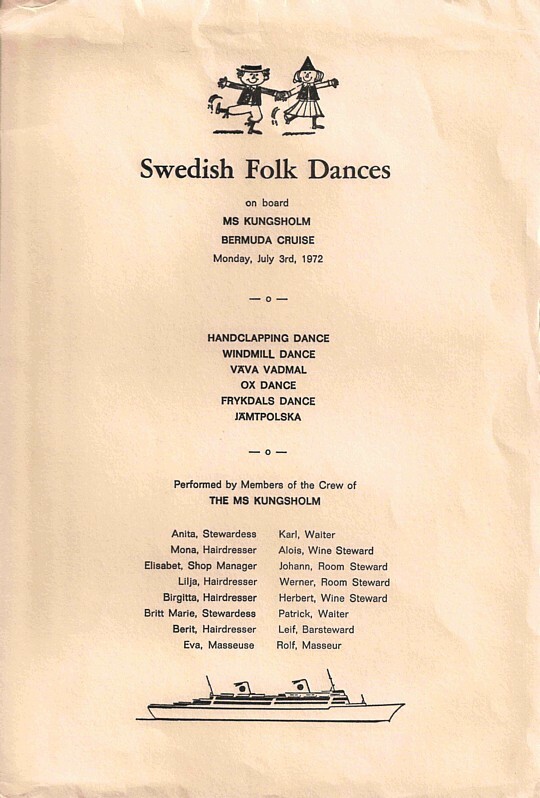 Program leaflet for the Swedish folk dance performance during the Bermuda cruise 1972. 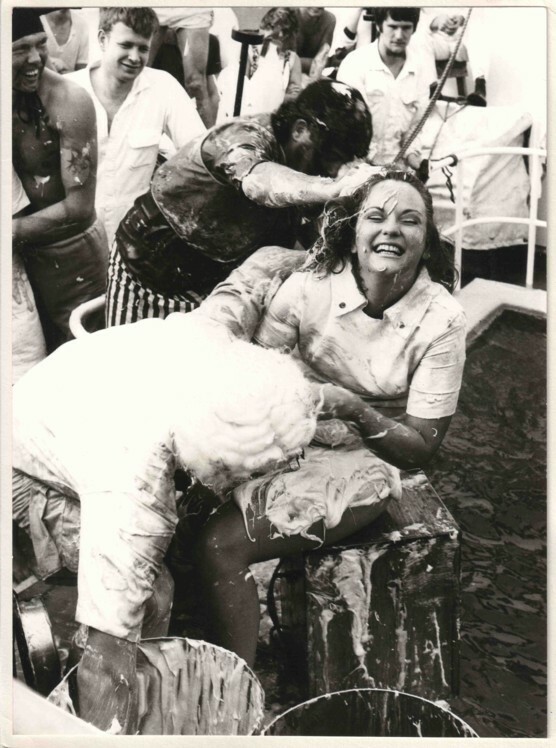 Swedish St. Lucia celebration for the passengers every 13th of December. 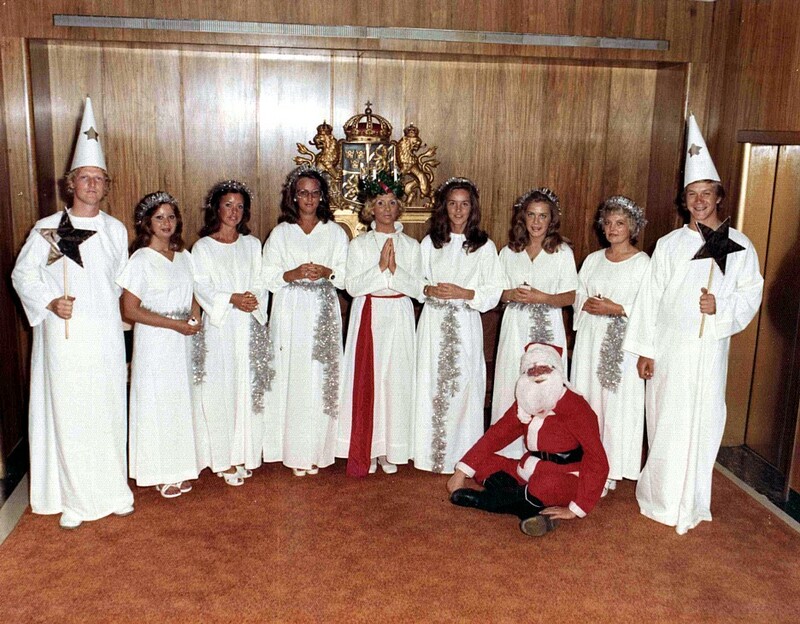 Berit “Babs” Svensson, Ninni Lund, unknown, Inger, Seja, unknown, and Santa Claus unknown. 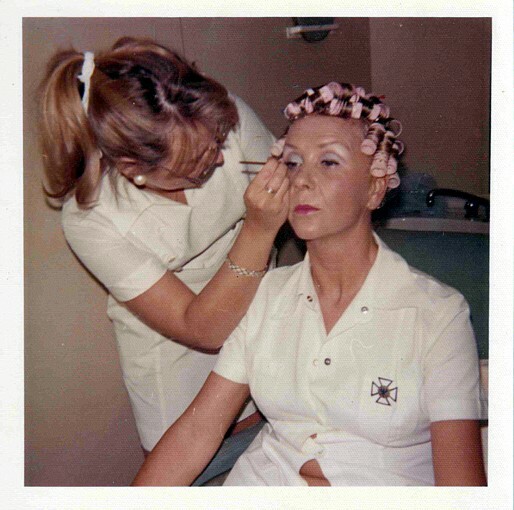 treatment in honor of King Neptune when crossing the equator in November 1971.
make-up for the traditional Swedish St. Lucia celebration on December 13.